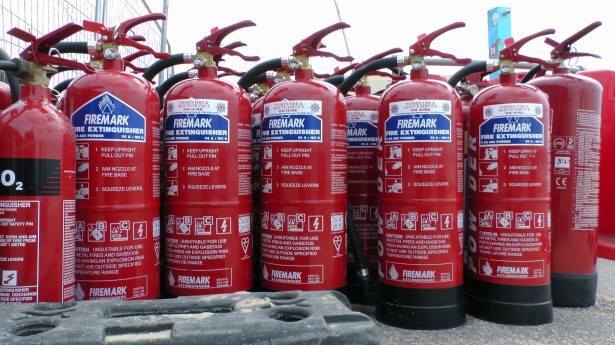 How do I dispose of expired Fire Extinguishers? Question from resident: How do I dispose of expired Fire Extinguishers? Does the Fitchburg Fire Department Accept Dropoffs? Answer from the Fitchburg Fire Department: The Fire Dept does not accept dropoffs. You can wait for the free Hazardous Waste dropoff days, (4) per year in June/November. Or Liberty Supply Inc. at 195 Hamilton Street in Leominster will take old fire extinguishers. They charge $10.00 to dispose of them. If they are empty and they are open with no pressure, they can go in the trash. Not empty they can go to the HHW waste day on June 22 at the landfill.